​Chesterfield VA Roofing specializes in the repair of residential and commercial roofs in Chesterfield, VA including the surrounding counties of Chester, Woodlake, Midlothian, Colonial Heights, Bon Air, Brandermill, Hopewell and beyond. We have served clients in VA for 3 generations. We are committed to upholding ethical business standards that will keep us thriving in business several more generations. Unexpected roof failures, such as plumbing leaks, wood rot or decay, mold, and insects or critters chewing holes through the roof cause their own set of unique consequences to your home or office. Plumbing leaks lead to decay and mold growth. Insects or critters will devour building material, breed and expand their territories- destroying whatever they touch. Chesterfield VA Roofing is familiar with repairing problem roofs of all types and will treat your emergency with speed. When we promise we’ll be there, we will be! Don’t be discouraged! Roofs as a rule can be repaired before they face full replacement. Our experienced roofers will do all they can to avoid a roof replacement and still make a lasting repair. Asphalt shingled roofs are slippery to walk on because walking on them is trying to walk uphill and downhill on very small ceramic granules. Definitely, don’t go up on your roof during a hard rain or strong winds the footing is treacherous and the wind is harsher on top of a roof because there is nothing in its way to be a wind break. Don’t risk your life, trying to stop damage to belongings by getting up on a roof to plug a hole. If you must get up on a roof, tie yourself to something that won’t move or break- not a car that could be driven away by another family member or a tree limb that may break. Flat roofs, while they may seem little easier to walk on, are a very complex waterproof system that will need an expert who is familiar with installing and repairing flat roofs (the problems that can occur are varied and many). 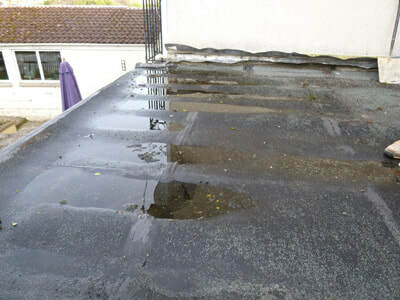 Walking on an ageing flat roof can be dangerous because unknown roof damage could have weakened load capacity of the roof causing a person to fall through into the building below or walking too close to roof penetrations that might not be sturdy could send a foot crashing through the rooftop. Don’t put your employees or yourself in danger. Call Chesterfield VA Roofing for a free no commitments roof inspection, at your convenience, our experience inspectors will meet you on site and evaluate the problem roof. ​ When a storm has delivered a blow to the roof of your home, office, business, or church call Chesterfield VA Roofing (804) 835-6142 we will send an emergency response team out to your home or place of business as soon as we can safely exam the roof. After a severe storm, many people need the services of a good roofer. The fair way of handling repairs is on a first come first serve basis. However, we don’t want our neighbors force into hiring unknown, perhaps nefarious, roofing crews traveling through stricken communities so we will, once the storm has passed, send a partial crew out to fix tarps over the roof damage of waiting clients. The absolute best advice we can give is call as soon as possible, and try to minimize additional rain damage to the dwelling by placing buckets under leaks. Water damage left unchecked can cause horrible problems within a home or business, such as wood rot, mold and electrical shorts. 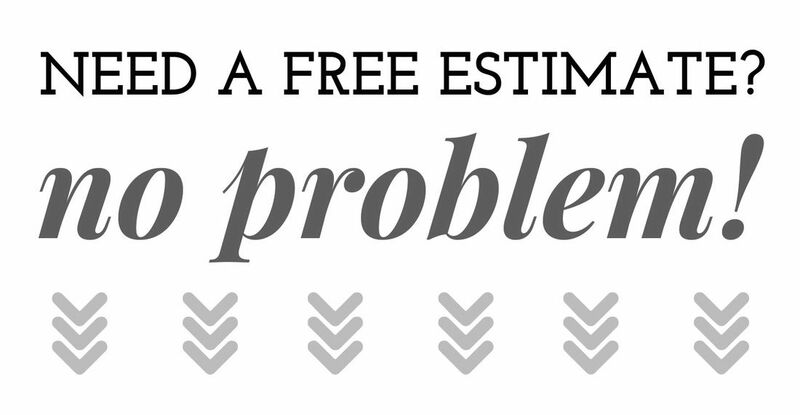 Exact and thorough repair estimates are provided promptly to your insurance provider. We have worked with many agents or adjusters investigating roof damage claims so we are familiar with the process. Additionally, we will help anyway we can, on your behalf, towards a settlement that will provide a quality repair to your roof. If you have ANY questions about a possible new roof, roof repair, estimates, roofing material or any other question for a roofing contractor then do not hesitate to give us a call! We will be more than happy to help you with your roofing questions or roofing needs! You can reach us on the phone at 804-835-6142 or send us a Text.